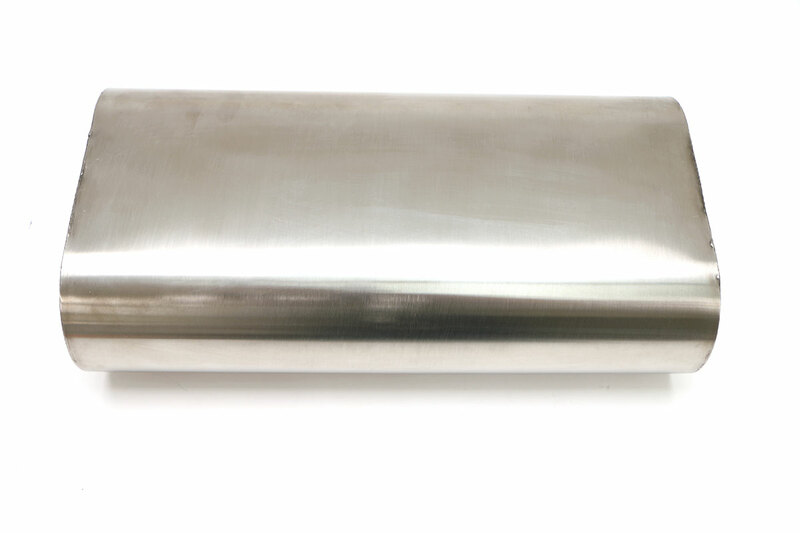 The Billy Boat Exhaust Universal Benchmark Muffler gives you the option to adopt our classic deep, throaty muscle car tone on a universal level. 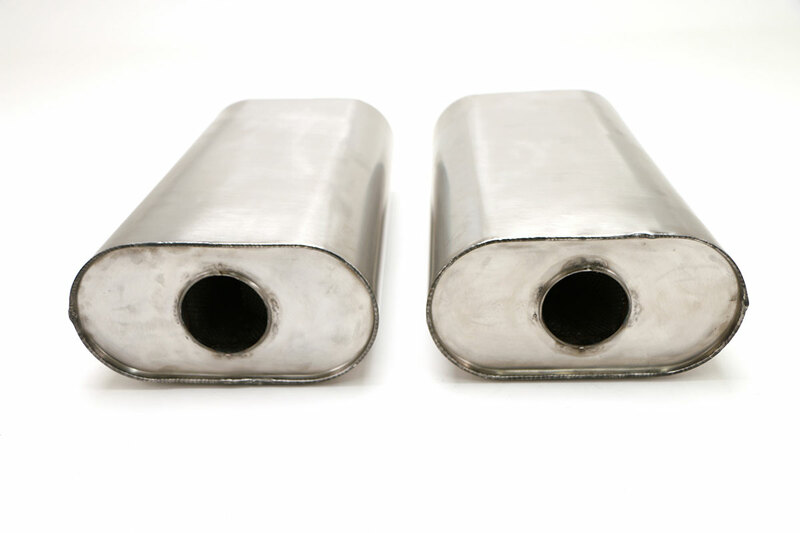 While most muffler companies use a standard round tube design, Billy Boat Exhaust uses a square tube design. This tube design allows for more volume in the muffler tube and also allows for more perforated surface area inside the tube. More volume means better flow and less restriction, while the increased surface area means more perforated material to absorb sound waves. We also use perforated arrows inside the tubes to direct the exhaust flow in a lazy S pattern, helping to increase the efficiency of the absorption side of the muffler. 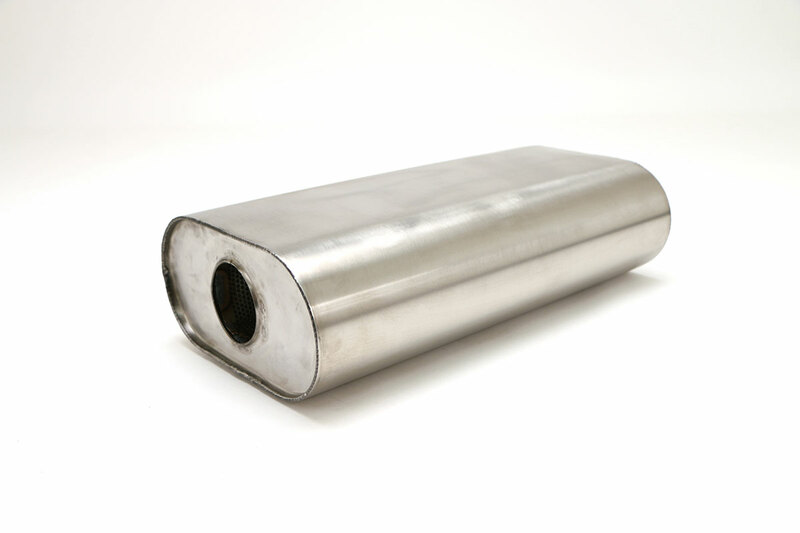 You’ll also find two different types of packing materials in our mufflers, a stainless steel mesh material and an extremely high temperature ceramic material. 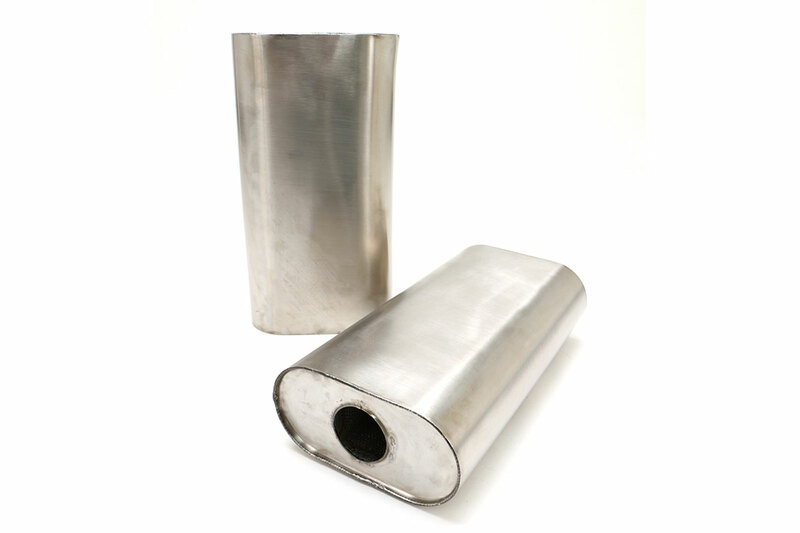 The stainless steel mesh is wrapped around all muffler cores to add a layer of durability to each muffler, while the ceramic material is used as a soft packed void fill around the core of the muffler chamber. Utilizing these different packing materials around perforated square tube cores is equally as important as the design, as different materials have different acoustic properties. These materials are durable and provide a lifetime of enjoyment…yet also emit the rich tones which create our deep, throaty muscle car signature tone. Use separately or in combination with our Timbre Cylinder.